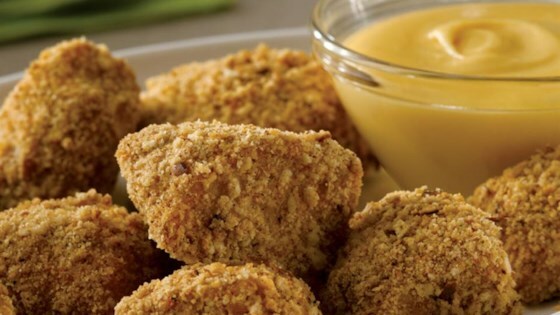 "The flavor and crunch you love about pretzels coats juicy pieces of chicken breast. Perfect for dipping in the VELVEETA-GREY POUPON Sauce." To be honest I copied the recipe for the cheese sauce. I needed an alternative to beer cheese dip. This was a 5 Star cheese dip.